Hello Friends, today i will share a tutorial that How to protect yourself against keyloggers. In my previous posts i have explained How to hack Facebook, gmail and other email accounts using keylogger. So its my responsibility to tell you how to protect yourself from such hack tools that records our key strokes. I will explain this tutorial using the Best Anti-keylogger software . So get ready to protect yourself from Keyloggers. Now How to Protect Yourself from Keyloggers . 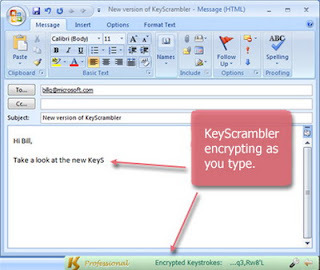 Simplest and the easiest way is to use KeyScramblers. The Best KeyScrammber is KeyScrambler Pro 2.7.1.0 . Always keep your Antivirus up to date. Update it regularly. I HOPE YOU ALL WILL LIKE MY POST ! IF YOU LIKE MY POSTS THEN FOLLOW US and SHARE OUR LINKS ON TWITTER OR FACEBOOK etc…. If you have any Queries post comment, I will my best to help you out. Pros: KeyScrambler is easy to install. Cons: 1)The software has “NO” Anti-Clipboard Logger,Anti-Hardware Logger,Anti-Screenshot Logger,Anti-WindowsText Logger,Anti-DirectX Logger,Anti-Kernel Level Logger,Anti-Hook Level Logger,Anti-WebCam Logger,Anti-Sound Logger capabilities. The Verdict: KeyScrambler performs its job well.